Dineshrie Pillay talks about her book, The Contract With Yourself. Dineshrie Pillay talks how employees can gain a competitive edge in the workplace and serve as business leaders in 2015. Dineshrie Pillay is interviewed about how graduates can build experience whilst studying. 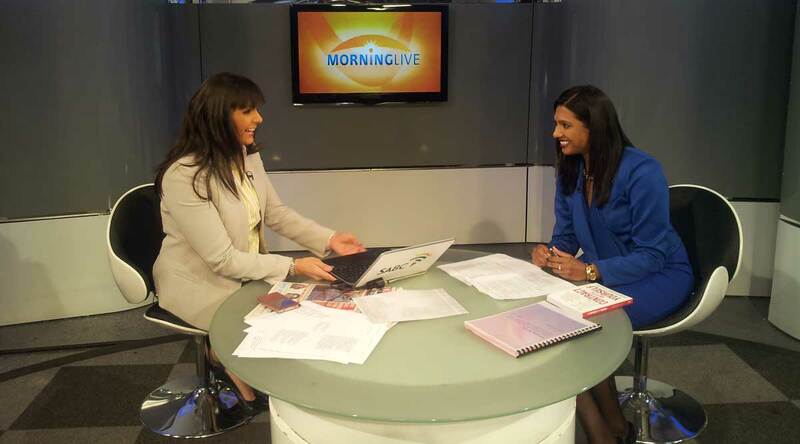 Dineshrie Pillay talks about her book, The Contract With yourself and how to deal with failure. Dineshrie Pillay talks about interview skills and how job seekers can get a head-start to their careers. At special occasions, I observe how most people happily record the event on their mobile devices and few actually volunteer to conduct a Toast. It seems that most people either lack the skill of Toasting or feel embarrassed by the formality of doing so. We are all on a journey of self-development. As a speaker – every time you get up onto a speaking platform – regardless if you are speaking to an audience of 5 or 5 000 people – your purpose is to improve your skills as a speaker. Confidence is ‘a feeling or belief that one can have faith in or rely on someone or something.’ There are a series of actions and thoughts that will contribute towards you being perceived as confident. Let us take a look at these factors as it relates to speaking in public. Videos have become one of the quickest ways to deliver content using a multitude of social media platforms whilst also serving the purpose of branding you and your company. One of the most sought-after skills as a speaker is knowing how to be engaging on stage and being able to hold the audience’s attention from start to finish. Your audience has just been informed, inspired or educated by your thought-provoking talk. The floor is now open to the audience to ask you questions. Whilst you cannot predict what questions your audience will ask, you can prepare yourself on how to respond to them. Your brain makes decisions either by taking its time or through mental shortcuts based on past experience. As a speaker, if you present too much of information, your audience will take longer to make a decision. Time is fixed; 20 minutes is 20 minutes. However when it comes to speaking – a 20-minute talk may seem longer or shorter from the perspective of the audience. Sweaty palms, tingling sensation, rapid heart rate are just some of the physical symptoms that people feel when asked to speak; it’s officially called glossophobia – fear of public speaking. As a speaker, regardless of what you are speaking about – you are messenger of change. This is because you need to convince your audience why they need to listen to you and adopt your viewpoint. In order to do this effectively, you need to craft your speech in a way that answers 4 questions that people in your audience will naturally have about your topic. As leaders in business whether you need to deliver a mini-speech or respond to someone on-the-cuff in the passageway, your ability to communicate on demand will set you apart from others. Most people shy away from on-the-spot speeches. Imagine owning a musical instrument valued at $4.5 million – would you not treat this with care? As a speaker, your vocal box and credibility should be cared for just as much. If you are too sick to speak, your best option would be either to postpone the talk or find a replacement. Accountancy South Africa – Instill Change To present or to inspire? Regardless of whether you are speaking to inform, persuade, sell, or to motivate, your primary objective as a speaker is to instill change. Consequently you need to focus more on changing the mindset of your audience rather than providing them with skillset. I hate it when people refer to speaking as a “soft skill” it’s actually quite a hard skill to master! What made it easy for me to transition into as a speaker was to first start speaking as a master of ceremony (MC). Below are my insights to being a memorable MC. Dineshrie talks about how to construct a Pecha Kucha presentation. As a presenter, things will go wrong someday. In this article Dineshrie reviews how to deal with your bad presentation nightmares. In this article, Dineshrie talks about how to make a technical presentation more relatable to your audience. Dineshrie provides a step-by-step guide on how you can construct an acknowledgment speech. Dineshrie addresses the most common public speaking myths and what you can do instead to be a poised speaker. Dineshrie talks about the shift in leadership culture and how anyone can become a servant leader. Dineshrie talks about how you as a public speaker can use the stage to instill new ideas and change beliefs of your audience. Dineshrie explains how a public speech is still a conversation and how to relate to your audience. Dineshrie shares simple and practical tips on how you can become a confident public speaker. Dineshrie is profiled as a women leader in business. Dineshrie is interviewed and talks about her success as a business leader. Dineshrie shares her insights on how both how Employees can think differently about their careers and how Employers can better manage their staff. Dineshrie is interviewed and talks about her book, The Contract With Yourself, and how to turn success into failure. Dineshrie is interviewed and talks about her book, The Contract With Yourself. Dineshrie is interviewed and talks about her thoughts on life, success, leadership and wealth building. I gave attendees tips and techniques on linking their purpose in life to their careers, preparing CVs to win an interview and performing well during job interviews. Dineshrie gave tips on presentation skills, how to use body language and how to maintain a professional presence at conferences and meetings. Connect with Dineshrie on LinkedIn.